Since coaches preach the importance of fueling up with water from day one of practice, most athletes are well aware of the dangers of dehydration. However, a new study reveals most runners don't know about the risk of hyponatremia, a potentially fatal condition caused by drinking too much water. Of the 197 runners surveyed by the University of Loyola, 36.5 percent drink water on a preset schedule, and 8.9 percent drink as much as possible, despite recommendations by the International Marathon Medical Directors Association that runners should drink only when thirsty. "We have been trained to believe that dehydration is a complication of endurance exercise," says Loyola exercise physiologist Lara Dugas, Ph.D. "In fact, the normal physiological response to exercise is to lose a small amount of fluid. Runners should expect to lose several pounds during runs and not be alarmed." 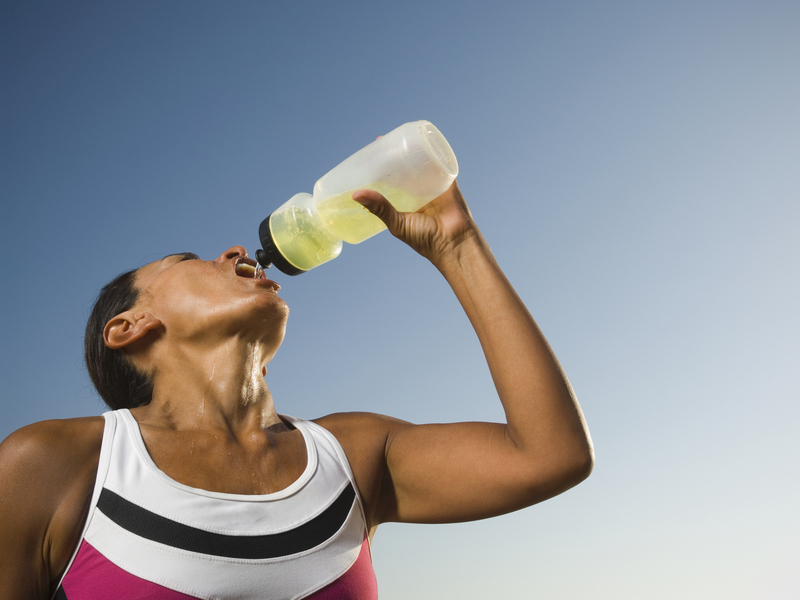 Many long-distance runners are so worried about dehydration that they overcompensate with too much water. By drinking too much at once, these runners put themselves at risk for hyponatremia, which is when a person ingests so much water that she dilutes her sodium to dangerously low levels. This condition is more prominent among female runners. Symptoms of hyponatremia include nausea, headache, confusion, energy loss, spasms and cramps, and can progress to seizures, unconsciousness, coma or even death. In recent years, there have been 12 confirmed and eight suspected runners' deaths from the condition.